It was the summer of 2014, and Corey Price had a problem. 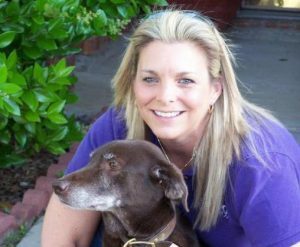 She had recently taken over as manager of Irving Animal Services (IAS), in the city of Irving, Texas, and the shelter was packed full. Price was determined not to kill animals for space. What to do? IAS is located in the same building with the DFW Humane Society, and the two organizations work together seamlessly. 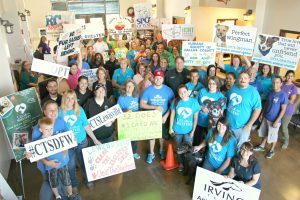 DFW Humane Society and IAS ran themed adoption events every month, so Price began to think about how she could get more publicity for the August event, which was called Empty the Shelters. She decided to consult with the Irving communications manager, Meribeth Sloan, hoping that they could brainstorm about adoption promotion and come up with something big. Boy howdy, did they. 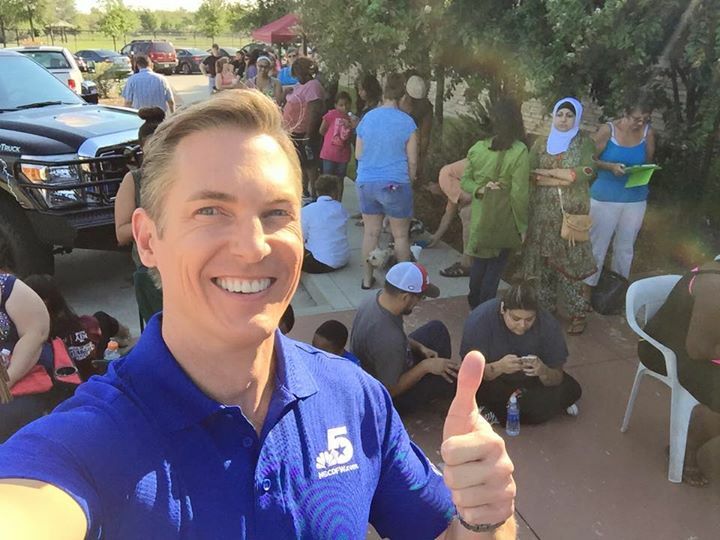 Sloan told Price that if Price could get several shelters in the area to agree to do a mass adoption event, the local NBC affiliate might be willing to supply free publicity as part of its “Texas Connects Us” initiative. Irving is part of the Dallas/Fort Worth metro area, so Price set to work contacting shelters in that media market, and in two weeks she had recruited 33 shelters to participate, including Dallas Animal Services. Price and Sloan took their idea to Nada Ruddock, NBC’s vice-president of community affairs for the Dallas metro area, and she quickly approved it. So did Larry Boyd, the Irving police chief at the time. His support was crucial for participation by Price’s shelter, because the plan was to waive fees for the event. 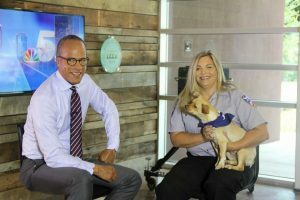 The event was held on Saturday, August 16, 2014, under the name Empty the Shelters, and it was even bigger than expected, with the 33 participating shelters adopting out 2,256 animals. Dallas Animal Services ran out of adoptable pets by 2:30 PM. One shelter adopted out more animals on that day than it had in the entire month of August in the preceding year. The event went so well, in fact, that Valari Staab, president of NBCUniversal-owned stations, decided that all of its stations would participate in 2015. The first nationwide event was held on August 15, 2015, under the name Clear the Shelters. Over 18,000 adoptions were recorded by some 400 participating shelters from coast to coast. The event took another big leap in participation in 2016, when Clear the Shelters was held on July 23rd. Roughly 700 shelters participated and over 50,000 animals were adopted. The third annual nationwide Clear the Shelters event is coming up on Saturday, August 19th, and indications are that it will be even bigger than last year. What makes Clear the Shelters so massively successful? The adoption part of the event is pretty standard, with some shelters having a one-day, fee-waived event, while others charge a reduced fee instead of a fee-waiver, or make it a multi-day event. The unique aspect of Clear the Shelters is that the promotion for the event is done for the shelters. All shelters have to do is sign up. And the promotion is done very professionally and effectively, reaching large numbers of people. Not having to worry about promotion makes it an easy decision for shelters to participate. One of the notable things about Clear the Shelters is its appeal to “traditional” shelters, which often don’t have the resources or the flexibility to run their own promotions effectively. There is also an esprit de corps inspired by Clear the Shelters, perhaps because, although it is a national event, it is implemented at the regional level. When I interviewed Price a few days ago, she said that what moved her the most about the event was the cooperation among the shelters and all the sponsors and volunteers who made the event possible. It’s a real community-building phenomenon. She mentioned that the event gives small shelters an opportunity to get on the radar screen of local residents who never knew they existed. As an example, she cited one tiny shelter in her region, run by a single person and with only 9 kennels, that received a huge boost from Clear the Shelters. In addition to inspiring shelter workers and volunteers, Clear the Shelters has deep meaning for the people who come to adopt a pet. People are willing to wait in line at busy shelters because they believe in the mission of the event. They want to show their support for saving shelter pets. It isn’t just an adoption of a new family member, it’s doing their part to end the killing of shelter animals. It’s also fun. There is a party-like atmosphere on Clear the Shelters day, and everyone celebrates each new adoption. The future looks bright for Clear the Shelters to continue to grow. This event is an example of how one person can start out with a goal to save lives, and create something huge by enlisting others who also want to help. Congratulations to Price for lighting the spark of this tremendous event.